Salon Privé returns for 2016 to the spectacular Blenheim Palace from 1st to 3rd September. 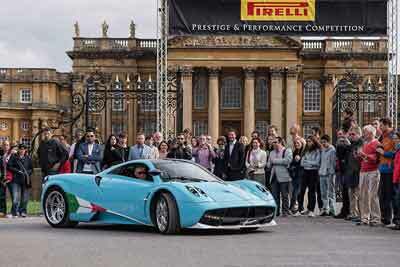 One of the UK’s most glamorous supercar and classic car shows returns to Blenheim Palace in Oxfordshire from 1st to 3rd September. Now firmly established in the UK classic car calendar, over 11,000 car enthusiasts attended over the 3 days at Salon Privé 2015 to celebrate the events 10th anniversary. Salon Privé offers its guests unrivalled access to some of the most exclusive modern and classic automobiles. The very latest models from marques such as Abarth, Ferrari, Jaguar Land Rover, Koenigsegg, Lamborghini and Pagani are on show with many exhibitors offering test drives and demonstrations. Salon Privé 2016 – What’s on? Salon Privé takes place over three days, starting with the Chubb Insurance Concours d’Élégance Judging Day on Thursday 1st September. The Chubb Insurance Concours d’Élégance recognises outstanding achievements in the art of the automobile. 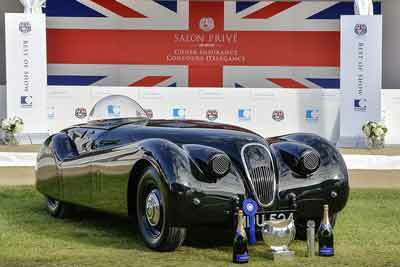 Last year the amazing 1953 land speed record Jaguar XK120 ‘Jabbeke’ scooped top prize and was awarded ‘Best in Show’. On Friday 2nd September Boodles Ladies’ Day brings high fashion to Blenheim Palace along with the Silverston Auctions Salon Privé Sale. Couture lovers are well catered for at the show with, in addition to Boodles Ladies’ Day, the stand-alone Luxury Shopping Village and the EFG Art & Memorabilia Fair. 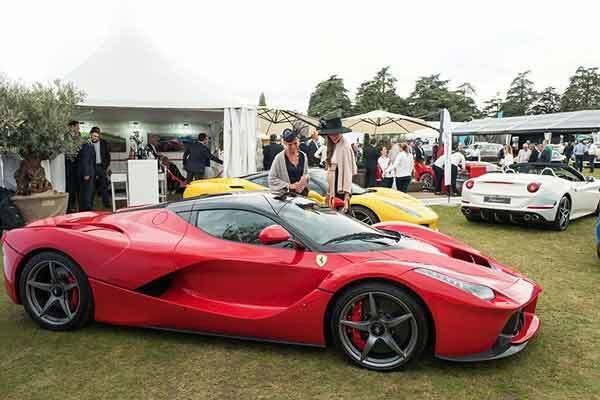 The show wraps up on Saturday 3rd September with the Salon Privé Supercar Show where the crème de la crème of the historic and contemporary super car world are crowned in the Pirelli Prestige & Performance Competition. Last year over 5,000 guests attended the new public Pirelli Prestige & Performance Competition to see the 2014 Ferrari LaFerrari come out on top (pictured at the top of the page). The competition is back this year with a twist on the concours competition as over 80 supercars, manufactured from 1976 to present day, will take part in the competition, parades and awards ceremonies. This year the 50th anniversary of the car recognised as the origin of the super car species, the iconic Lamborghini Miura, will be celebrated. Guests can also get up close to the latest concept cars, world-famous hypercars, and enjoy car parades throughout the day or simply relax and enjoy the Pommery Champagne, Lobster Luncheon and English Afternoon Tea. For public day ticket enquiries, Click here.